The results of US presidential election came as a shocker to a lot of people, not just people from America but worldwide. People were on streets protesting just after few hours of the election and still are on streets protesting against election results. And just when Americans realized the future for them isn’t bright, they started expressing that they would want Michelle Obama to run for President in 2020. 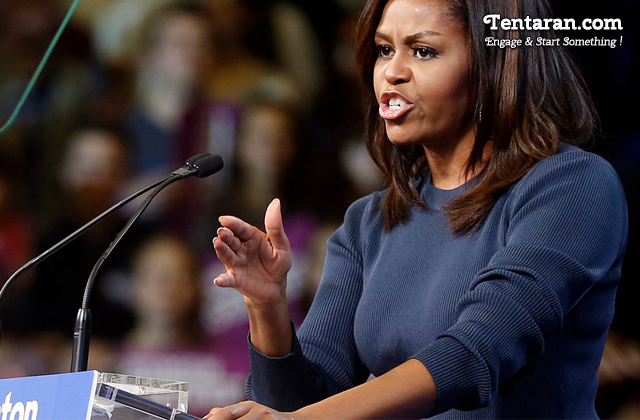 The people of America are calling out to Michelle Obama to run for the President in 2020. In fact, the voices on social media platforms have been so strong that the hashtag #Michelle2020 started trending soon after Trump’s win. The Ex-first lady is no doubt extremely popular among Americans and was also admired for her speeches in favor of Hillary Clinton during campaign rallies. It’s ok folks, let’s look to 2020. Let us know what you think of it in the comment box.